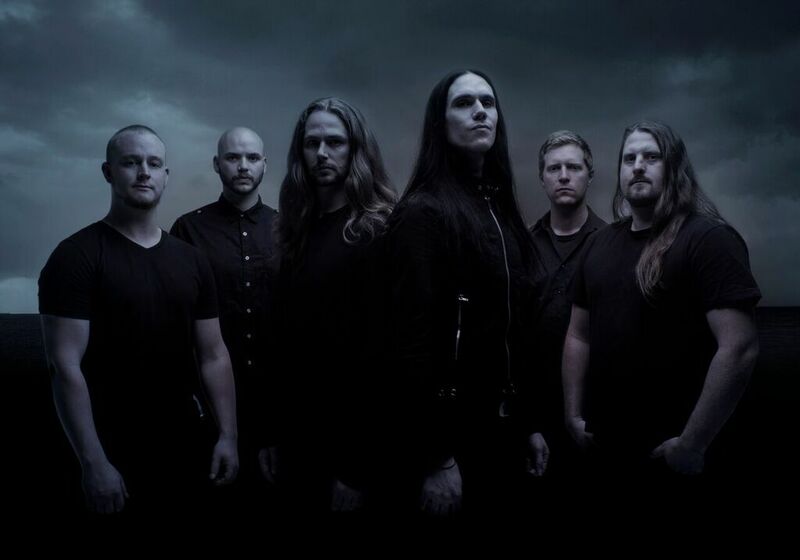 An Interview With The Australian Metal Band, NE OBLIVISCARIS! 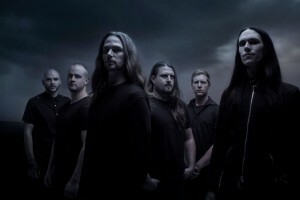 Formed in 2003, Ne Obliviscaris (pronounced; Nay Ob-li-vis-kar-is) hit the live scene in 2006 to widespread critical acclaim throughout Australia with many hailing their unique sound, intense live shows and talented line-up. 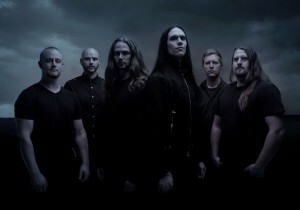 A 6 piece metal band consisting of violin, 2 guitars, bass, drums, clean and extreme vocals; Ne Obliviscaris hail from Melbourne, Australia, and include a vast array of influences within their sound from progressive to black, thrash, death and melodic metal, and even western art music, jazz and flamenco. Creating music of many extremes, and with compositions often exceeding ten minutes in length, Ne Obliviscaris is at times very technical and complex and at others simple and subtle, creating an extremely original brand of metal that defies normal categorization. Thanks for your time! How’s 2016 been treating you all? Very well! Things are really starting to take off for the band so it’s an exciting time for us without a doubt. What were some of the highlights of 2015 for the band and your music? It’s hard to name just a few… Playing many of the worlds biggest metal festivals including Soundwave (Australia), Hellfest (France), Graspop (Belgium), Summer Breeze (Germany), Metaldays (Slovenia) and many more including headlining a festival in Guwahati, India to 12,000 people. It was definitely the year that we felt finally that we could hop on stage alongside the best bands in the world and not look out of place which was a big step for us. We also had the pleasure of doing a huge 35 date European tour with Cradle of Filth, and toured Japan/Hong Kong with Flesghod Apocalypse, headlined in Israel and Australia and generally started to bring into reality all the things we had dreamed about doing with this band for many years. Can you tell our audience about this groundbreaking financial endeavor that you guys launched and what drove you to come up with this idea? Well to start from the beginning, what drove us to come up with this idea, was the desire to solve the problem of how, circa 2016, can a band like us ever make enough money to keep doing this long term? As though we absolutely love touring around the world, what 2015 showed us was that it was even harder to make a profit than we had realized and we personally lost over $20,000AUD on EACH of the 3 big international tours we did that year. So though our dreams had started to come true with getting these great opportunities, our dream was sending us all broke and we were touring so much that everyone was getting fired from their day jobs back home and left in a position that was putting huge financial stress on all of us. It was actually the outpouring of grief from fans when CJ quit Thy Art Is Murder in December, 2015, citing financial pressures, that inspired this idea. I started to be convinced that fans desperately wanted to see the bands they love succeed and that maybe as an industry we just weren’t interacting with them in the way they want to interact anymore. CD sales have been going downhill for 2 decades and nothing has really stepped up to fill that income void for bands which has led a lot less bands to be able to make a living from their bands than in previous generations. What we do have though is an incredible connectivity with fans via social media that was not available to earlier bands. My idea was to use the positives of the digital generation to engage with fans on a level that hadn’t been done before in an ongoing fashion and find a way to monetize that. So we designed a membership system which we called ‘The Ne Obluminati’ and are running it from a platform called Patreon. It’s basically an old school fan club on steroids set in the digital age and fans get exclusive access to all sorts of content such as behind the scenes tour diaries, tutorials, interviews, VIP access at shows and all sorts of other things for anywhere from $1 to $250USD a month. Since launching in March it has been hugely successful reaching almost $9000USD a month at present and helping to provide the members of this band with a part time income for the first time ever. How did this group first come to be? Where did you all meet? The band first started in 2003 and Xen and I actually came into contact via an online metal forum. I mentioned I was a violinist and he sent me a personal message asking if I wanted to come try out for his new band. The rest of the band came together in a variety of ways. We found Matt via an online musicians forum, Brendan we knew from another band and then Dan was a friend of Brendan’s from high school. The final piece of the puzzle was Benjamin Baret, who saw us advertising for a new lead guitarist in 2008 and applied online and was such a standout we managed to get him to move to Australia and the rest is history. How did you come up with your band name? What other names were you considering? Our singer Xen came up with the bands name Ne Obliviscaris which is latin for ‘Forget Not’. We were searching for a name that was a bit different and had more depth than most and we felt this fit us well. The band was originally called In Tempest but only for a short time. We are all very different personalities but I think we work together well because we have a lot of respect for each other and our individual strengths. Everyone is aware that we are stronger together than individually. Was everyone on board with this Patreon campaign or did members need to be convinced? I think when I first came up with the idea there were a few questions about how realistic it was to pull off, but everyone liked the idea in theory it was just about putting the hours of research in to it to ensure it launched as strong as possible. How do you think your sound has grown and developed over the years? I think it has simply continued to mature over the years as we learn and grow as musicians and as people. We try to be very open minded in regards to what styles and genres we can include in our songs and over the years it seems like there are less and less barriers to what is possible as part of this band musically. That freedom is definitely something I relish. How would you describe your sound to someone that hasn’t heard it yet? Progressive, melodic, extreme metal with violin? It’s very difficult to put our sound in a word box. Where do you get the inspiration for your music? Is that constantly changing? Life and all its experiences. Every bit of music I hear, everything day I live affects in way the music I and the band create. For me I just try to be open to learning as a person and as a musician and to then put that across in our music. You’ve got a pretty busy tour this fall all over Europe. Where are you excited to play at? What’s been a favorite show of yours in the past? What do you think makes an ideal show? We are always excited to play everywhere and anywhere! We are just finishing up our first ever North American headline tour today in Anaheim which has gone even better than we could have hoped for. It’s been exciting to see such big crowds out at the shows and such enthusiasm for our music on the other side of the world. When we head to Europe in September I’ll be particularly excited to play Euroblast festival and to get back to visit our fans all across Europe once more. How will this patreon campaign change how you go about touring? It will change how much it’s possible for us to tour basically. If we are able to reach our minimum wage target then it will mean that when we go home we can focus on writing/recording and preparing for future tours rather than having to try and find new jobs to pay our bills in between tours and save money for the next tour. The money from Patreon enables us to pay at least some of our bills back home while we are away on tour and to stay afloat financially which is an extremely difficult thing to achieve for most bands, especially those from Australia. Have you met any of the fans who have purchased the show packages yet? Yes absolutely! We have 8 Grand Master Ne Obluminati and about half a dozen of them are in the USA and attended shows during the tour. We would invite them down to the venue early to watch soundcheck and then go out for dinner with them pre-show and give them AAA access for the event. They would even be consulted on what songs they most wanted to hear so that we could decide on which version of the set list to play that night with their choices in mind. We also had a number of The Revered Ne Obluminati members come along who would come down to watch soundcheck, meet the band and get a free ticket to the show. It was great to get a chance to meet some of the fans who are supporting us in such an enormous way. Who are some of your favorite artists? What artists have continued to inspire you and your music? Karnivool, Sigur Ros, Devin Townsend, Immortal, Behemoth, Dream Theater, D’Angelo, Deftones, John Coltrane, Arvo Part all have influenced or inspired me in some significant way. I guess in the end I just hope they have some sort of emotional connection with the music. That can happen in a variety of different ways and there is no right or wrong way to experience our music, but if they have a strong emotional reaction to it and it impacts them in some way then that is an amazing thing. We are just 6 ordinary guys that love making music together that feel very lucky to have such incredible fans. We have been told that there are a number of artist following suit or looking to learn from you Patreon experiment? How does that feel to be helping other artists and do you think this is going to be a permanent solution for your band? There are definitely quite a few bands behind the scenes that are looking at replicating this idea. They see that this has completely transformed our career and a lot of bands face the same financial challenges we do and are looking for solutions. Personally, I do think that fan membership systems like this have the potential to be the next big thing in the music industry as a way at making up for all the lost income from CD sales disappearing over the past couple decades. People love music and they genuinely want to see the bands they love succeed but we as an industry need to give them new ways to get involved and take advantage of the amazing connectivity that we have between artists and fans circa 2016. The industry is changing and we hope that it changes for the positive and are doing our best to try pave a new path forward for artists. The LA Duo, THE BRINKS Discuss Their Debut EP, “Temporary Love” and Much More! An Interview With The New Jersey Duo, EPOCH FAILURE On Their Music, Favorite Artists, Biggest Moments So Far And Much More!